Happy Saturday my beauties! 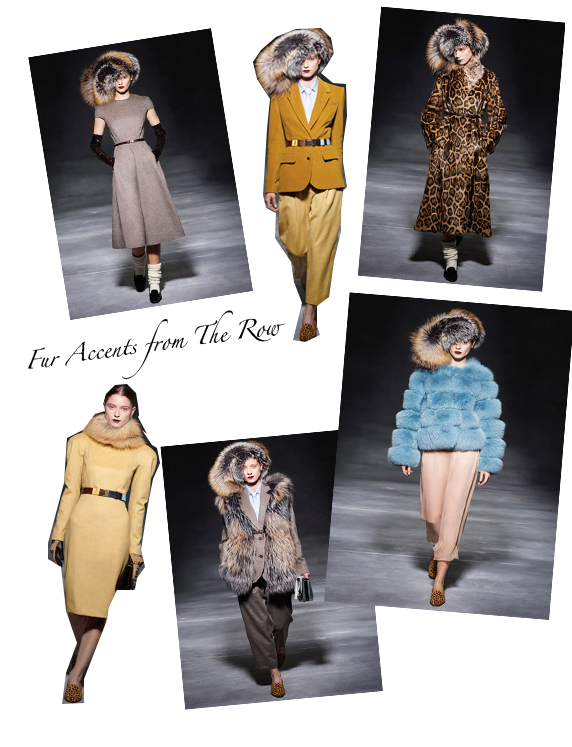 Glancing through the Ready to Wear Fall Collections I put together a few looks from the runways. As you can see the season is looking at more color, shirts to the knee , long and short over coats , Long and waist sweaters with lots of layering. A season to be creative with accents! Below are looks from The Rows by Mary Kate and Ashley and honestly their detail to style and classics are beautiful for such a young collection. Looks like they made a commitment to fur as the icing on the cake. The change of seasons brings a challenge to get cozy with your wardrobe. But once you get the pieces together it makes you feel happy and confident! Enjoy your weekend!